They don't call Michael Jordan "His Airness" for nothing. While at North Carolina, the Chicago Bulls, and even during the twilight of his career with the Washington Wizards, MJ logged more flight time than Charles Lindbergh. 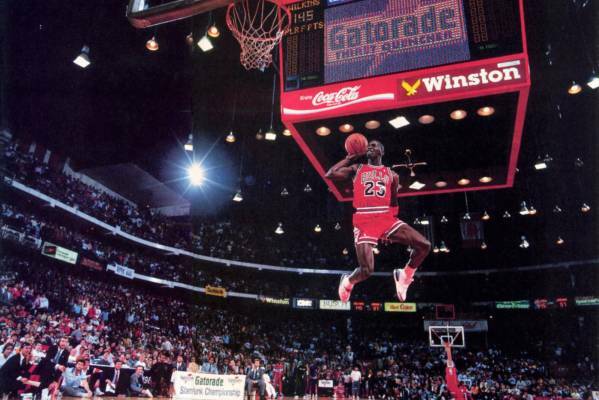 While there are many memorable moments of Mike taking flight, there's none better than his '88 Dunk Contest victory over Atlanta's Dominique Wilkins that established Air Jordan as the one of the best leapers of all time.